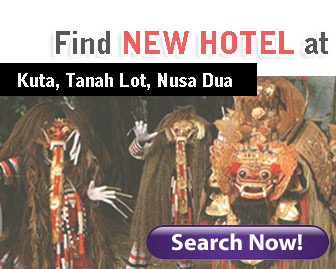 You must have been pretty familiar with Bali, especially for its tourism charm. So many compliments have been given for this tiny island in the centre of Indonesia archipelago. On the previous 14th of August, Bali Province celebrated its 55th anniversary. After a long time, let us see for a while the history of Dewata Island from time to time. 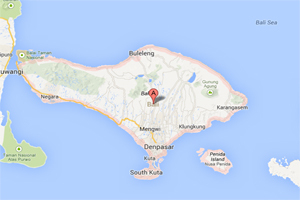 Bali Province was formed at 14th of August 1958. The formation was based on the Indonesian law number 64 year 1958. At the beginning, the capital of Bali was Singaraja, but in 1960 it was moved to Denpasar. The total area of Bali Province is 5,636,66 km2 or equal to 0.29% of Indonesia Republic’s total area. Administratively, Bali Province consists of eight regencies, 1 municipality, 55 districts, and 701 subdistricts. Before becoming a Province like today, Bali was an island formed by small kingdoms. In 1343, Majapahit Kingdom came to Bali and then conquered Bali which at that time was under the rule of Bedahulu Kingdom with its well known patih (chief minister); Kebo Iwa. Majapahit Kingdom must try every strategy and tactic to defeat Kebo Iwa. After successfully deceiving Kebo Iwa, Gajah Mada appointed Dalem Ketut Sri Kresna Kepakisan as the king of Bali. Bali Kingdom reached its glory in the era of Dalem Waturenggong. At that time, the Kingdom had been moved to Gelgel (now Klungkung Regency). In that era, Bali underwent great development in knowledge, art, and governance sectors. Unfortunately, after the era of Dalem Waturenggong, his heirs could not maintain their glory. The last recognized king was Dalem Di Made whose era was full of political chaos and rebels. After the end of Gelgel period, Klungkung Kingdom started to rise. In the era of Klungkung Kingdom, the area of the previous kingdom had already been split into smaller regions kingdoms. Actually, these small kingdoms were the forerunner of regencies in Bali. 1. Badung Kingdom became Badung Regency. 2. Mengwi Kingdom became Mengwi District. 3. Bangli Kingdom became Bangli Regency. 4. Buleleng Kingdom became Buleleng Regency. 5. Gianyar Kingdom became Gianyar Regency. 6. Payangan Kingdom became Payangan District. 7. Karangasem Kingdom became Karangasem Regency. 8. Klungkung Kingdom became Klungkung Regency. 9. Tabanan Kingdom became Tabanan Regency. Year 1597, Bali started to build relationship with Holland. The first Holland expedition at that time was led by Cornelis de Houtman. However, this relationship was not intense until the 19th century. In 1817, Holland sent a group under the leadership of Van den Broek with mission of building a trading base in Bali. However, that mission was opposed by the kings of Bali. 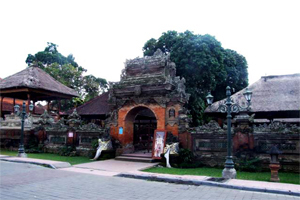 Until 1830s, the relationship of Bali with European was still around the trade affairs. 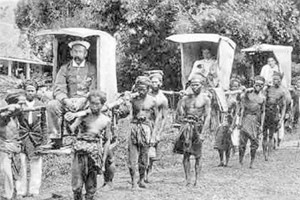 Things changed after 1841, when Huskus Koopman successfully negotiated with Balinese kings. After that, gradually, Holland could eliminate the reign of Balinese kings by doing negotiation after negotiation. Finally, in 1908 Holland conquered Bali fully and Klungkung Kingdom was the last remembered kingdom who fought the Dutch until they surrendered or killed. After the acquisition, there were a lot of rising nationalist organizations in Bali. The intellectuals were the motor of these organizations whose mission was to seize the power of Holland in Bali. After Holland, the next colonialist who came to Bali was Japan which arrived in 18th of February 1942 by Sanur Beach. After their acquisition, the condition of Balinese people was getting worse because Japan confiscated all people’s properties and forced them to do peonage. However, when Japan suffered a total lost from the ally, Balinese suffering finally ended. Republic of Indonesia was proclaimed and all Indonesians were free from the colonialism. Indonesian freedom meant a lot for Bali because Bali also got its own freedom to develop and manage its natural resources. The sector of culture, art, and expression can grow healthily until now Bali becomes one of the world class tourist destination.